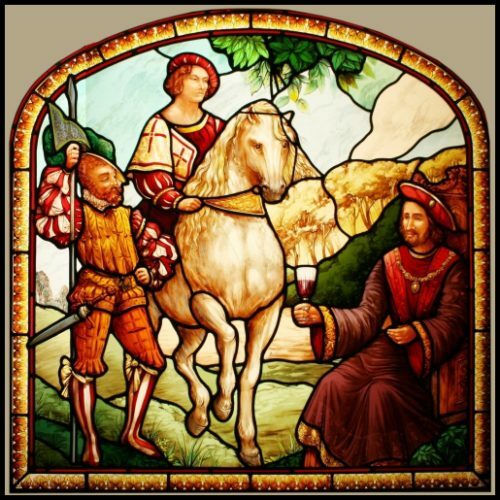 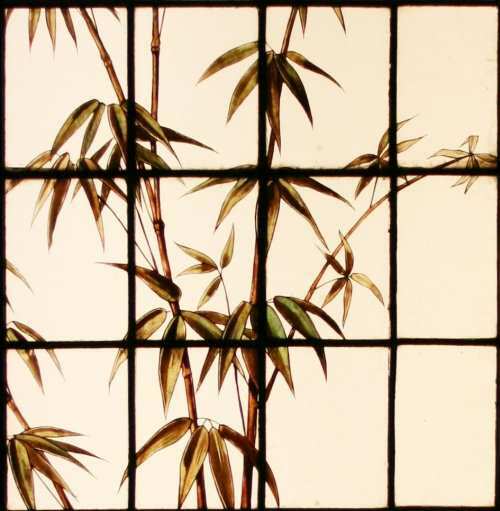 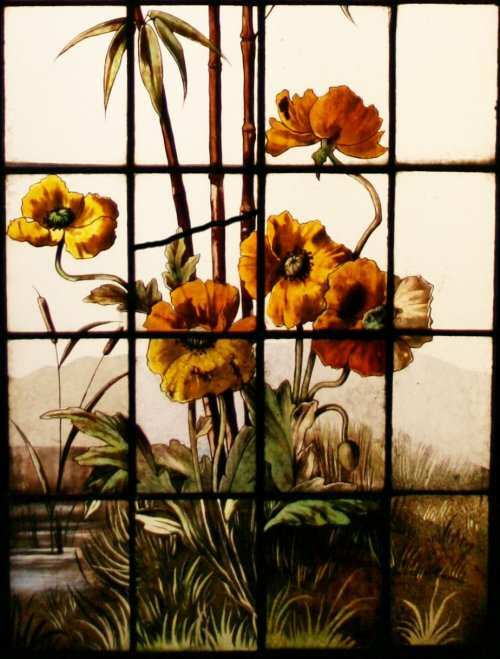 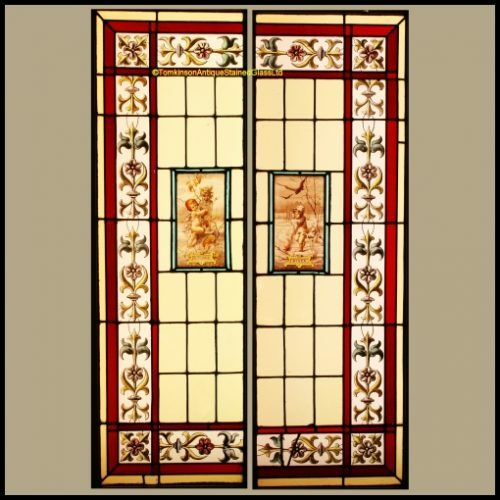 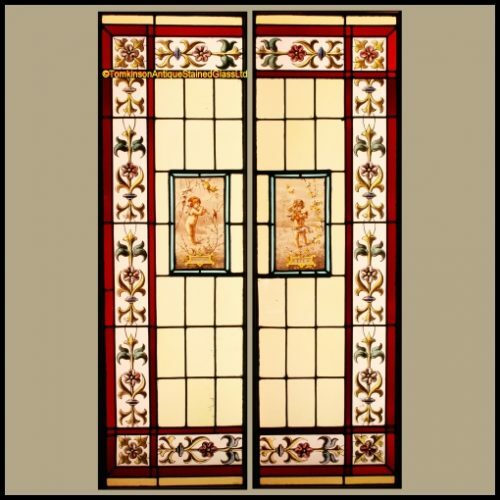 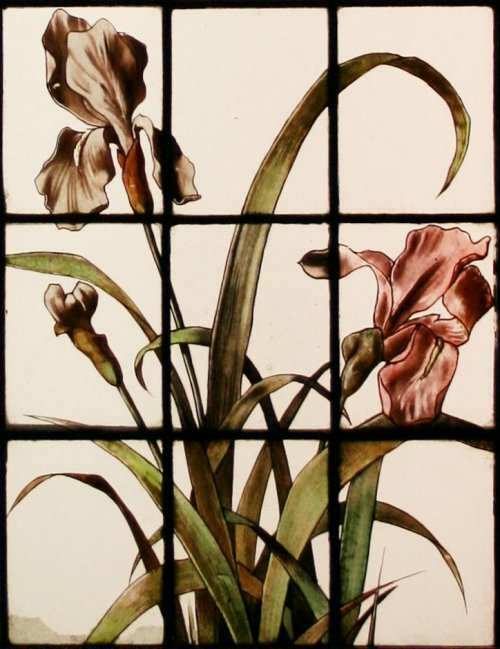 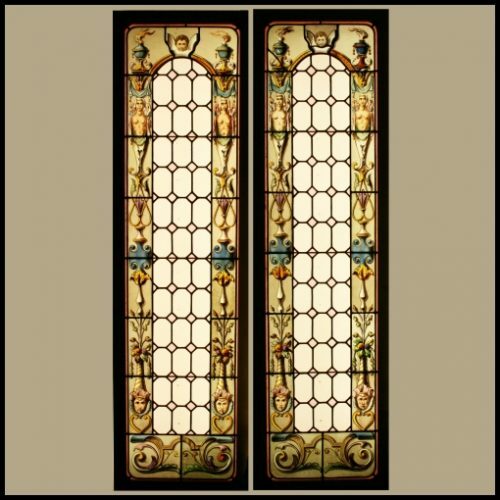 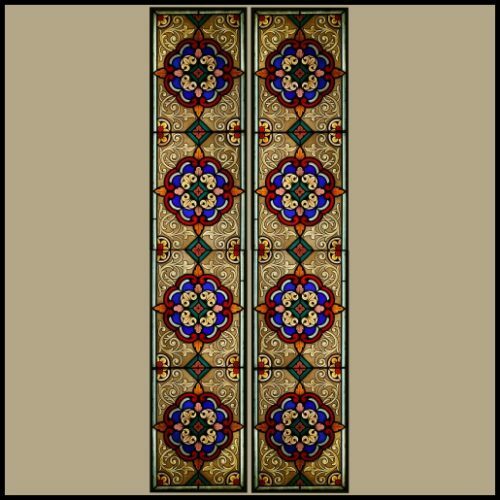 Pair of tall connecting antique French stained glass window panels, c1900. 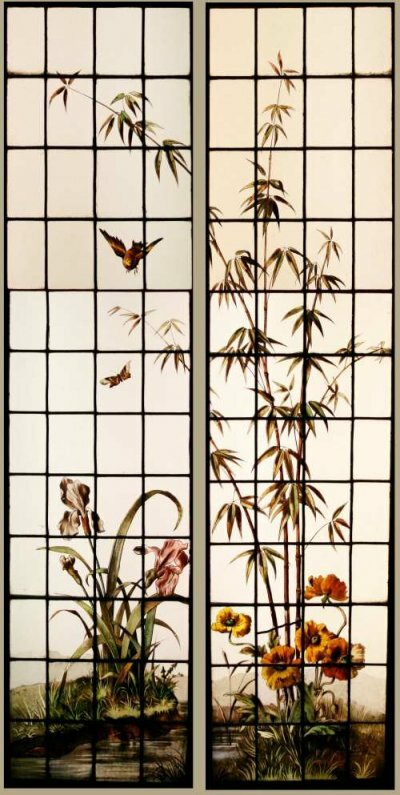 Each leaded and hand painted on obscure “Cathedral” glass depicting a pond scene with Bamboo, Pink Iris and Orange Poppies with a Bird swooping after a Butterfly. Both their original hard wood frames and in excellent condition. 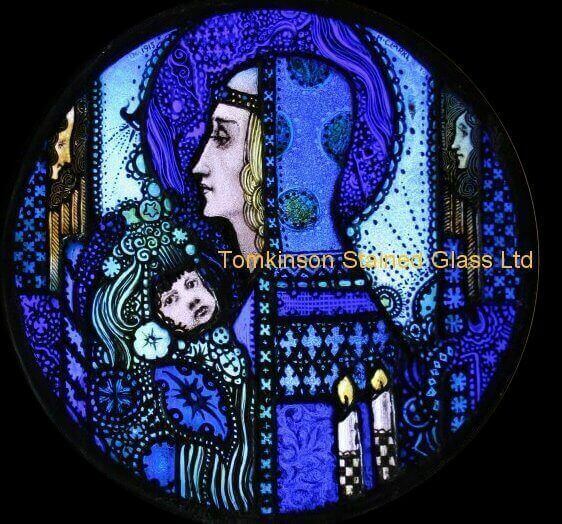 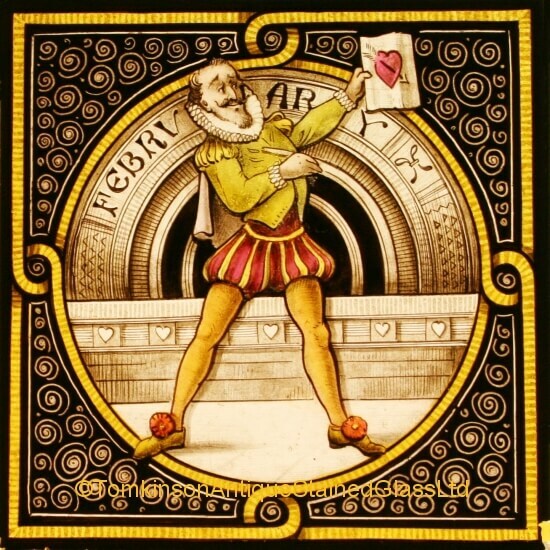 Super quality of hand painting, with silver stain and enamel paints. 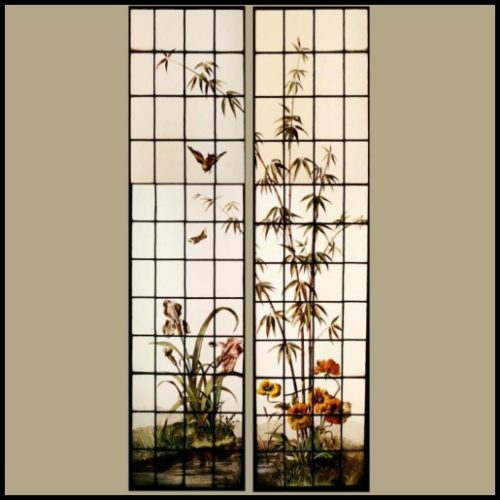 Ideal for a conservatory or sunroom.